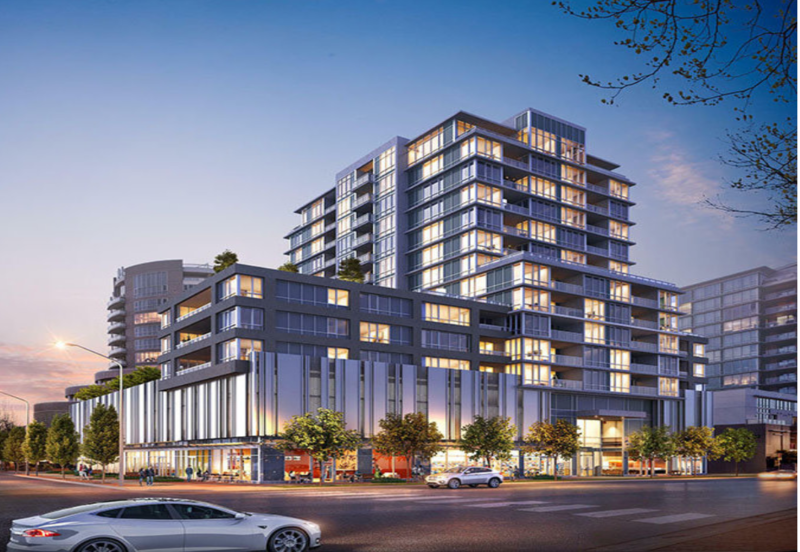 Alfa - a new condo development by Anderson Square Holdings Ltd. The project is located in downtown Richmond, on Anderson Road and near No. 3 Road, favourably near the shopping malls, transit, skytrain, city hall, the parks and recreation centres. Condos size range from 570 sqft to 1500 sqft, 1 bedroom to 3 bedrooms plus den. Homes feature heating and cooling system for year-round comfort, custom Italian made flat-panel cabinets, Bosch gas cooktop, stainless steel appliances, shower with Grohe Euphoria system and pressure balance contro and prewired with in-suite security system. Amenities include electric car charging stations, rooftop terrace, fitness room and meeting room. Developer: Anderson Square Holding Ltd.